Henry VIII TUDOR King of England [scrapbook]-T1702 was born on 28 Jun 1491 in Greenwich Palace, London. He died on 28 Jan 1547 in Whitehall Palace, London. He was buried in St. George's Chapel, Windsor Castle, Berkshire. Henry married Anne BOLEYN Marchioness of Pembroke-B1708 on 25 Jan 1533 in Westminster Palace, London. Anne BOLEYN Marchioness of Pembroke [Parents] [scrapbook] 1-B1708 was born about 1501 in Blickling Hall, Blickling, Norfolk. She died on 19 May 1536 in Tower of London from execution by beheading. She was buried in Chapel of St. Peter ad Vincula, Tower Hill, London. Anne married Henry VIII TUDOR King of England-T1702 on 25 Jan 1533 in Westminster Palace, London. 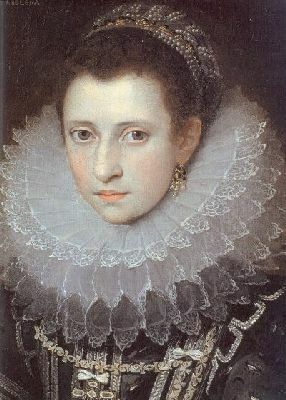 She gained the title of Marchioness of Pembroke on 1 September 1532. As a result of her marriage, Anne Boleyn, Marchioness of Pembroke was styled as Queen Consort Anne of England on 1 June 1533. Her marriage to Henry VIII Tudor, King of England was annulled on 17 May 1536. She was executed for high treason and alleged adultery. 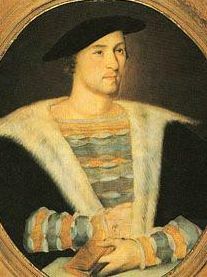 Sir William STAFFORD-S1701 was born in 1511. He died on 05 May 1556 in Geneva, Switzerland. William married Mary BOLEYN-B1707. He was the son of Sir Humphrey Stafford and Margaret Fogge. Mary BOLEYN [Parents] [scrapbook]-B1707 died 1 on 19 Jul 1543. Mary married Sir William STAFFORD-S1701. She and Henry VIII Tudor, King of England were associated circa 1526. William CARY [scrapbook] 1-C1701 died on 22 Jun 1529. William married Mary BOLEYN-B1707 on 04/04 Feb 1520/1521. William Cary was the son of Thomas Cary and Margaret Spencer. He held the office of Gentleman of the Privy Chamber. He held the office of Esquire of the Body to King Henry VIII. He was also known as William Carey. 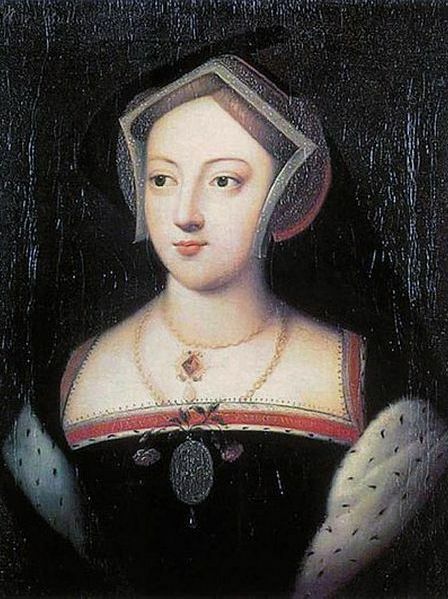 Mary BOLEYN [Parents] [scrapbook]-B1707 died 1 on 19 Jul 1543. Mary married William CARY-C1701 on 04/04 Feb 1520/1521. William JORDAN 1-J0623. William married 1, 2 Ann RACKHAM-R0627 about Mar 1843 in Aylsham (RD), Norfolk. 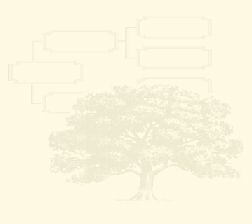 Ann RACKHAM [Parents] 1-R0627 was christened 2 on 23 Feb 1824 in All Saints, Stibbard, Norfolk. Ann married 3, 4 William JORDAN-J0623 about Mar 1843 in Aylsham (RD), Norfolk. Ann was recorded in a census on 07 Jun 1841 at Stibbard, Norfolk. Charlotte RACKHAM-R0572 was christened 1 on 19 Mar 1843 in All Saints, Stibbard, Norfolk. Sir Henry INGLOSE [Parents] [scrapbook]-I2001 # was born in Dilham, Norfolk. He died on 01 Jul 1451. He was buried in Presbytery of the Priory, Horsham St Faith, Norfolk. Henry married Amey de UFFORD-U2001. 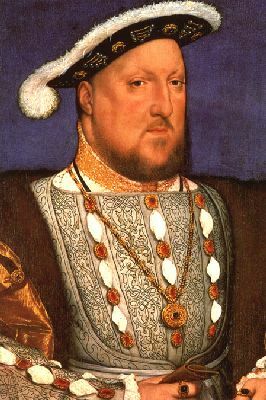 Henry had a will on 20 Jun 1451. His will was probated on 04 Jul 1451. Both Blomefield [History of Norfolk Vol 10 Pg159] and Copinger [Manors of Suffolk Vol 5 Pg4] confuse this Sir Henry with Sir Henry his father, particularly with regard to the marriage with Anne Gyney. Richardson [Magna Carta Ancestry Pg214] appears to present it correctly. There is also a record (see Scrapbook for image) in The History and Antiquities of the County of Rutland - Pickworth (Page 106) which gives the name of Sir Henry's first wife as Amicia, next to whom he wished to be buried in the Presbytery of the Priory, Horsham St Faith. Sir Henry's second wife similarly chose to be buried alongside her first husband, Sir William Bowet. In 1424, Henry Inglose appoints Richard Bowell as Rector of St Laurence, Beeston. In 1439, Sir Henry Inglose and Ann his wife (in right of the manor of Smalburgh) appoint Henry Droughelyn as Rector. Lord of the manor of Bokenham-Ferry in 1447. Henry's will of 1450 orders it to be sold and so his son, Robert Inglose Esq. and his wife Alianora, convey it and the manor of Hasingham to William Norwich in 1456. Sir Henry Inglose, knt. died in 1451 possessed of lands in Haveland, Dilham, Loddon and Washingford, in Norfolk; and Ashby in Suffolk. ; of the manors of Haverland, Brandeston, Cawston, Bokenham-Ferry, North Walsham, Helmingham (called Bryan's), Rackheath, Hoothgate, Mundham (called Mauclerk's), and Sprowston in Norfolk; Gunton and Hopton in Suffolk; and Pykworth in Rutlandshire. Amey de UFFORD-U2001 was buried in Langley Priory, Norfolk. Amey married Sir Henry INGLOSE-I2001 #. After the death of her first husband, Sir William Bowet, in 1422, Amey married Sir Henry Inglose. Sir William BOWET-B2005 died about 1422 in France. He was buried about 1422 in Langley Priory, Norfolk. William married Amey de UFFORD-U2001. Sir William was living and Amey his wife, in the 11th of Henry IV (1410) and resided at Wrentham in Suffolk in the 5th of Henry V (1417). In the 9th of Henry V (1421), he was taken prisoner by the French at the battle of Bangy in France and it's probable that he died there soon after, for it appears that he was dead by 1422 and was buried in Langley Priory, Norfolk. Amey de UFFORD-U2001 was buried in Langley Priory, Norfolk. Amey married Sir William BOWET-B2005. Margaret INGLOSE [Parents]-I1903 died after 1451. Margaret married BEAUPRE-B1907. Sir John de INGLOSE [Parents]-I2201 # died in 1368. Sir married Dionysia. John de Inglose was lord of the manor of Inglose in the 20th of Edward III (c1347). After John died, his son Henry sold Inglose Hall in Loddon and 11s rent, which Dionysia, widow of Sir John, had for life, to William de Brundale and his heirs. Dionysia. Dionysia married Sir John de INGLOSE-I2201 #. M i Sir Henry INGLOSE-I2101# died before 1394. Robert GYNEY [Parents]-G2207 #. Robert married Margaret FASTOLF-F2201 #. Richardson in Magna Carta Ancestry (Pg 214), records that Anne's father was Roger GYNEY. Heverland Manor - Robert Gyney, brother and heir to Sir John Gyney, succeeded him; he married Margaret, daughter and heir of John Fastolf, relict of John Honing, by whom she had a daughter, Margaret, married to Robert Bois, Esq. of Ingham, and by Gyney had a daughter and heir, Anne, who married Sir Henry Inglose, lord in her right, in the 17th of Henry VI. by his will dated June 20, 1451, he devises his manors of Dilham, Lodne, &c. to Henry, his son and heir, who was lord in the 7th of Henry VII. I belive this is another example of Blomefield confusing the two generations of Sir Henry Inglose. Margaret FASTOLF [Parents]-F2201 #. Margaret married Robert GYNEY-G2207 #. F i Anne GYNEY-G2107 # died in 1394. Margaret FASTOLF [Parents]-F2201 #. Margaret married John HONING-H2203.